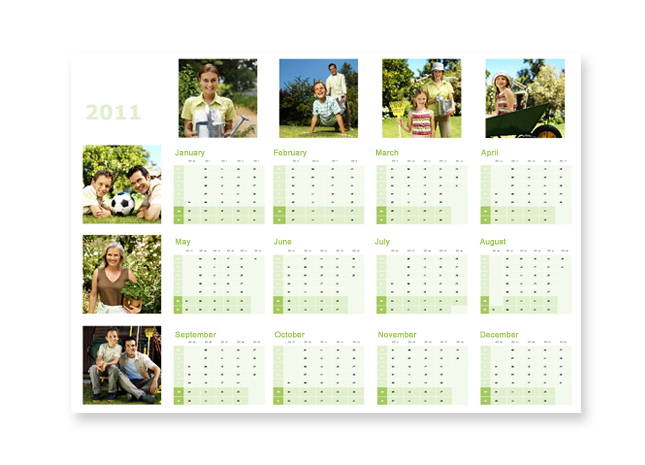 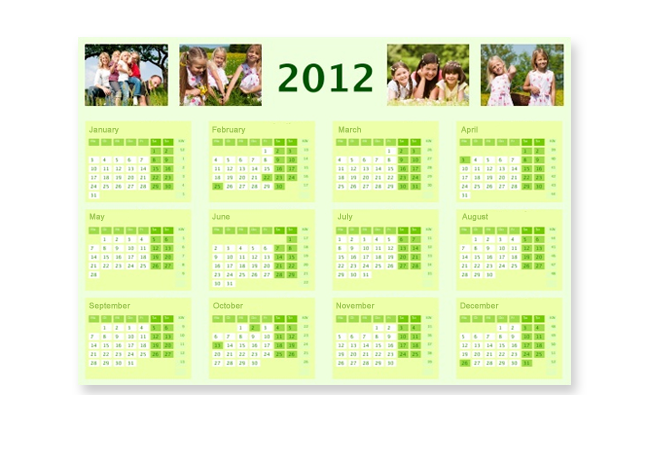 Whether in the office or at home, the year planner displays the whole year at a glance, on A3 size (11½"×16½") page. 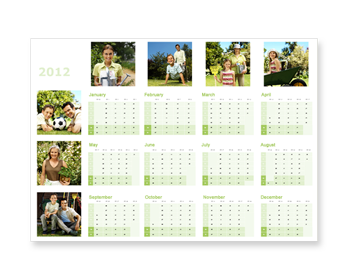 Simply choose from the wide range of different designs and calendar template options to make your year planner unique. 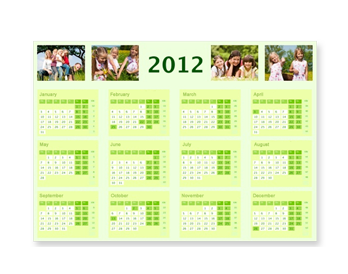 You can choose the starting month freely, making this calendar a great gift idea for any occasion and not just at Christmas.